Young farmers turning their hand to upland sheep farming have been commended by The Prince of Wales for their commitment to the industry. Prince Charles advocated the students of Askham Bryan College on their sheep husbandry skills during a visit to the Upland Sheep Husbandry Centre at Low Beckside Farm, near Mungrisdale, Cumbria, this week where Level 2 and Level 3 agriculture diploma students showed off the farm’s latest technology. 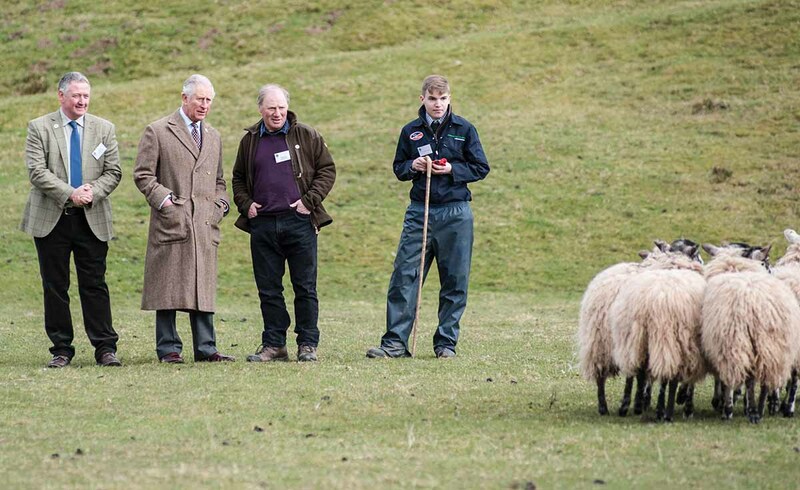 The prince had a walking tour of six stations including demonstrating lambing accommodation; tailing, tagging and castrating lambs; dog training; information transfer from an electronic race reader to a mobile phone app; electronic shedding, weighing and sorting and use of the combi clamp. Matt Bagley, head of farms for Askham Bryan College, said it was a ‘great honour’ to host The Prince. Student Ellie Stamper showing tailing, tagging and castrating techniques on a 3-day-old lamb. “HRH had a go at dog training which was tremendous,” he said. “He actually took control of the dog for a period of time and he was amazed that the dog would work for him. “He was superbly supportive of everything we do here; he was very knowledgeable about grassroots agriculture which was heartening and he was able to put that across in a very down to earth manor. The centre was opened in June 2017 and hosts 450 purebred Swaledale sheep, plus six North Country mule ewes and lambs from the College’s flock. 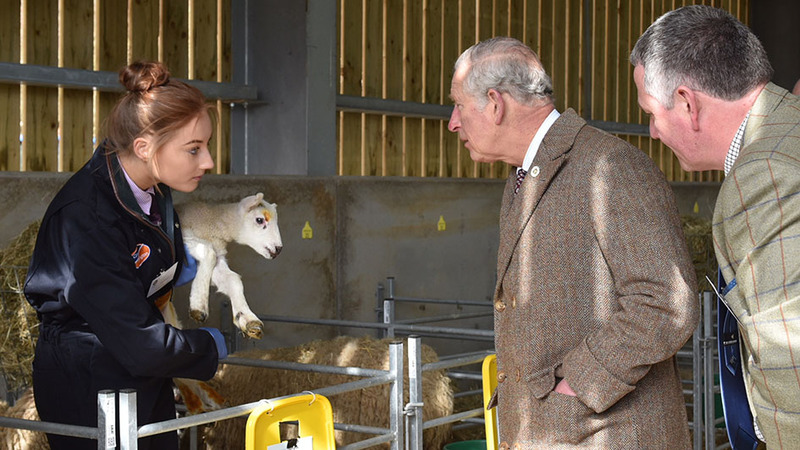 Student Ellie Stamper, 16, said the Prince’s Countryside Fund had helped kick-start the College’s lambing shed and she was pleased to be part of the teaching programme.